Australia's Port Hedland, the world's largest bulk-export terminal, was officially closed Friday morning after the weather bureau warned a tropical cyclone heading to the area was building strength off the northern coast. Cyclone Stan was about 290 kilometres north-west of Port Hedland and 340 kilometres north north-east of Karratha at 3:00pm local time, and was moving slowly south, Australia’s Bureau of Meteorology (BoM) said. The category one cyclone is likely to be upgraded to category three when it makes landfall near Port Hedland late on Saturday morning, BoM added. The move comes as Australia’s Bureau of Meteorology warned that cyclone Stan, currently a category one, is likely to be upgraded to category three when it makes landfall near Port Hedland on Saturday morning. Mining giant BHP Billiton (ASX:BHP), one of the port’s main users, evacuated workers early in the day and said all equipment had been tied down, The Australian reported. The company noted that any impact on production or sales would be reported in its next quarterly review, due in April. Iron ore cargoes from the port climbed last month to cap a record year as billionaire Gina Rinehart's Roy Hill project began overseas sales, joining miners shipping greater volumes into a global market that's facing oversupply and sinking prices. Total shipments were 37.55 million metric tons from 37.33 million tons in November and 37.12 million tons a year ago, according to data from the Pilbara Ports Authority. Exports to China were 32.17 million tons from 31.73 million the previous month and 30.63 million a year earlier. The facility also handles cargoes for Fortescue Metals Group (ASX:FMG), which reported Thursday a 2% increase in quarterly iron ore shipments and an eighth straight quarter of cost cuts. 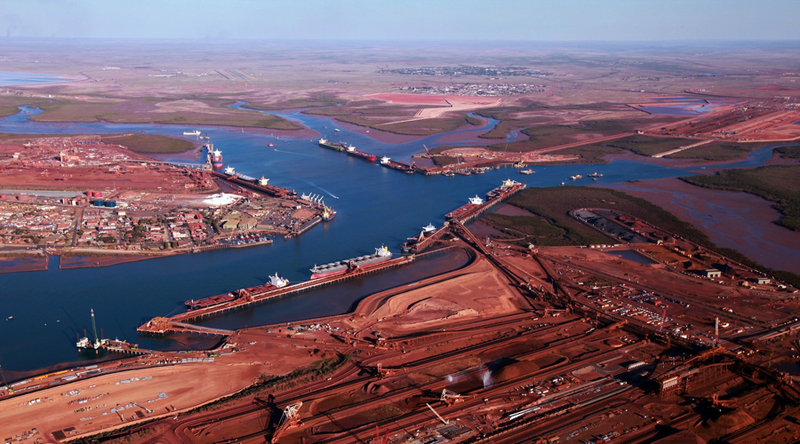 The Pilbara Ports Authority said that Port Dampier, one of two ports used by Rio Tinto (ASX, LON:RIO) to ship iron ore, will evacuate vessels beginning at 6:00 pm local time, with the facility closing shortly after that.